Hundreds of teachers go on protest across Iran! 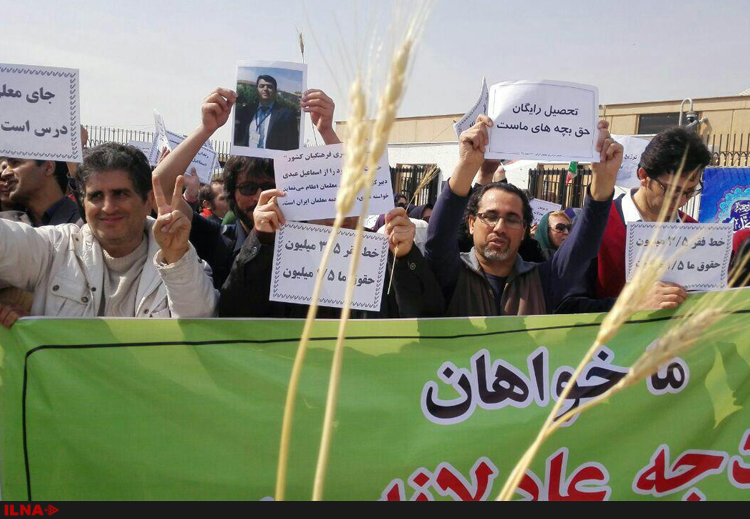 At ten o’clock this morning hundreds of teachers and retired teachers across Iran went on protest. The protests, which included a rally outside the regime’s ‘parliament’ in Tehran and education departments in many other provinces, were co-ordinated on the internet over the past few days. The protesters demanded that teachers’ wages be adjusted in accordance with other government workers, that teachers’ insurance be restructured and reformed, and the timely payment of teachers’ end of service compensation. The protesting teachers also demanded that court orders passed against teachers’ activists be revoked.